In just 35 seconds, our cassette-based ABL90 FLEX analyzer can deliver 17 parameters from a sample as small as 65 μL. Ensure standardized mixing of your blood samples in only 7 seconds using safePICO syringes and the built-in sample mixer on the ABL90 FLEX analyzer. 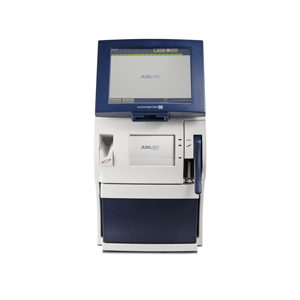 Compliance is also straightforward when you work with an ABL90 FLEX analyzer. Automatic quality control with dedicated QC solutions comes built-in to the analyzer which also runs continuous system analysis checks, and takes automated corrective actions when necessary.